Career: Let's start with recapping the year at my day job, since that's obviously what brought me here! Charlottesville has definitely exceeded any expectations I had for my career in the first year that I lived here! As many of you know, I began working here a year ago for a country station, as an afternoon on-air host. Back in December, I was promoted to being a morning show co-host on a different (and bigger) station that my same company also owned in Charlottesville. My co-host Marc and I have been doing our morning show for almost three months now, and each and every day it is a joy to get to do! I feel so privileged to be the soundtrack to so many people's morning commutes, and to help wake up Charlottesville with a smile, I absolutely love being a morning show host, and I know without a doubt this is exactly God's plan for this stage of my life. It has definitely been a lifestyle change to get used to waking up to early on weekdays, but it's an easy sacrifice that I'm willing to make. While I think someday I would still like to be on-air and living in a bigger city, being on the radio in Charlottesville was exactly perfect for this stage of my life and career, and I look forward to more years to come as a morning show co-host here! Blogging: 2018/2019 (since I moved here) has been an interesting year in blogging. I made slightly less money in 2018 than I did in 2017, but I think that's 100% due to the fact that I didn't have much of a social life in Vermont, so I spent a lot more time each week strategizing blog and Instagram content. Here in Charlottesville I have much more of a social life and also a more demanding day job, so while I do devote lots of time each week to blogging, it's not quite as much as I was putting in back in Vermont. Something else of note is that since August 2018, I have not gained any Instagram followers. That's now seven months of my follower count being stagnant! (I have of course gotten new followers since August, but each time I gain one, I lose a couple. 😥) In Vermont, my Instagram saw a lot of growth and engagement, so that's been something different to get used to. I'm trying to have a positive attitude about it and tell myself that a lot of bloggers of all following sizes are struggling on Instagram these days, and I should put more focus into my blog than IG feed. Anyways, with all of that said- I'm extremely proud of myself that as a 24-year old, full time morning radio host, and someone who actively pursues a social life that I have kept up with blogging as well as I do! 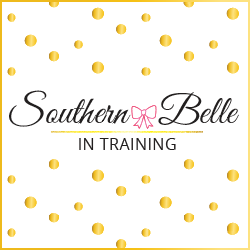 I post four days a week on the blog- and have been the entire time I live here! I'm very proud of the content that I have created in the past year. I made a decision right after moving that I didn't want to post any Charlottesville travel content on the blog until I'd lived here a year (minus the winery reviews I do), but now that a year is up I'm planning to make April's Tuesday post series some fun Charlottesville Travel Guides! Faith: I have felt in a good place in my relationship with God this year. When I think of my faith since I moved to Virginia, the word that comes to mind is "redeeming." My year in Vermont was so tough- career-wise, socially, emotionally and spiritually at times. Since moving here, I've become very absorbed into a great faith community, and I'm so happy to say that I have so many amazing Christians in my life here! This year, I want to keep deepening my faith. I don't want just surface level relationship with God. I want to take time on my own to learn more about theology and the Bible (to try and answer that question "Why is it that I believe what I believe?"). I have recently been considering looking at other churches in Charlottesville to attend as I enter my second year here, but I really do love my friend group and the people at my current church, so it's something I need to pray over more before deciding. Friends: BEST YEAR OF MY LIFE as far as friends go! DEFINITELY exceeded expectations. Wow wow wow- I think the friendships I've made in Charlottesville have actually topped how happy I am in my radio career, and I'm pretty happy in that! I was so incredibly blessed to meet some of the women who would become my best friends pretty soon after I moved here (totally the opposite of my year in Vermont). I'd say by the start of summer last year, I already had a great social group, and I'd just barely been here three months at that point! Living in Charlottesville has actually been the first time in my life that I've had a true "friend group," and I love it. I'd always been the type of girl who had various friends in various groups, so this has been so awesome (and convenient for making plans!). One special highlight with friends is that my closest girlfriends and I started doing Family Dinners on Wednesday nights each week. The six of us have dinner together every Wednesday- the person who hosts that week makes the meal, and everyone else contributes side dishes, wine, and dessert. I look forward to the middle of my week so much now because of that. I have also made a few wonderful friends not in my main friend group! I've loved getting to spend time with Alicia and Leslie (both bloggers! ), and I met my friend Caroline through Instagram- she is a morning TV reporter in the area, so we have the same work schedule and often get to hang out weekday afternoons! And lastly, so many of my precious friends from around the country have been able to visit me since I moved here! I feel like I am in a much more convenient location to host company now, and it's been a joy to have a steady stream of visitors, and be able to keep in touch now with friends that live all over. Aside from all of the bad dates- I did meet a nice guy last summer. We met the "old fashioned way" (aka not on a dating app- we met while I was out with some girlfriends! ), and went on a few dates last year. He was a true gentleman and very upfront about his intentions, which I really appreciated and respected. Unfortunately, he and I had some big differences in terms of how we viewed our faith and futures, and after having some honest conversations, we realized it wouldn't have worked as a relationship, so we parted ways before summer was over. I guess the good thing about him and that experience was that he gave me hope that there are still true gentleman out there! I just have yet to meet another one... haha. The good news about all of this... since moving to Charlottesville, I can say without a doubt that this is the first life stage where I've ever been content as a single woman. Instead of throwing singleness pity parties, I spent the year strengthening my career, community involvement, and friendships. While I do really hope that 2019 is the year that I meet an amazing Christian guy (I feel ready to get serious with someone y'all! Hahaha. ), I know that if another year goes by and a relationship isn't in God's plan for me, that's okay and I'll be okay. I'll actually be more than okay! Charlottesville: Okay- I covered all aspects of my personal life, now let's chat about how I actually like Charlottesville! I loved it the first the very first time I visited on my job interview trip, and I love it even more as a resident. Charlottesville is just such a cool place. The University of Virginia is located here, which brings so much revenue to the area, and is the reason Charlottesville is as big as it is. UVA is a gorgeous school (I still haven't had a full tour of it yet- haha! ), but one thing I love about living here is that the UVA area and students really are just in one area of town, not the entire city. There is a totally separate Charlottesville that has nothing to do with the university area, which as someone out of college and with no ties to UVA, I love! Charlottesville has a TON of stuff to do for a city as small as it is. Winter, spring, summer and fall- never a dull weekend here. The Downtown Mall (main part of downtown and pedestrian district) is filled with unique shops and fun restaurants, and fun events just about every weekend. Charlottesville has great shopping along US 29, as well as lots of nature trails in the city and Albemarle County. Then of course- the wineries! Most of the wineries in this area that I visit are actually just outside Charlottesville, in the small towns that surround the city, but there are tons to choose from within a 30 minute radius, it's so easy to get to them! Charlottesville rarely gets bad traffic, and now with my current work schedule I'm not even really commuting at busy times. This is also the first place I've ever lived where I barely have to drive on the interstate! I-64 does run on the outskirts of town, but everything in Charlottesville is in a 10-15 minute radius that you don't need the interstate for, so I'm really only on it now if I'm out of town for the day! Charlottesville definitely is a smaller city, but it's the best of both worlds since the great city of Richmond is just an hour away! I'm in Richmond at least once a month (sometimes more), and I love how it's so accessible to get there when I want big city vibes for a day. WHEW! This was long and wordy- props to you if you made it through the whole post! I feel so blessed to have had such a great first year of calling Central Virginia Home, and you know I'm excited for the second year!! This was a very fun post to read! I loved hearing how you life has evolved since moving to Charlottesville! Even though there were some drawbacks (ugh Instagram - I feel ya though! ), everything else seems to be going well! Charlottesville sounds like a great city to be in and full of opportunity for you! Time flies by when you're having fun! You have certainly accomplished so much, at such a young age. That's awesome! I'm glad you are still loving it. I am so happy for you! I actually felt myself being excited for you whilst reading this post, and I don't even know you 😂 It definitely sounds like this move was exactly what you needed. Congrats on getting a promotion in your job so soon, too! What a great recap! I cannot believe you’ve lived there for a year. Time flies by so fast. I am so glad you love it though. Moving is hard, but it sounds like Charlottesville is amazing place. I would love to visit. That mural is so cool! Time always seems to fly by! That sounds fun! Being a co-host on a radio station has to be a lot of fun! How exciting, and congratulations on the job. Love this!! Lots of fun in your year! 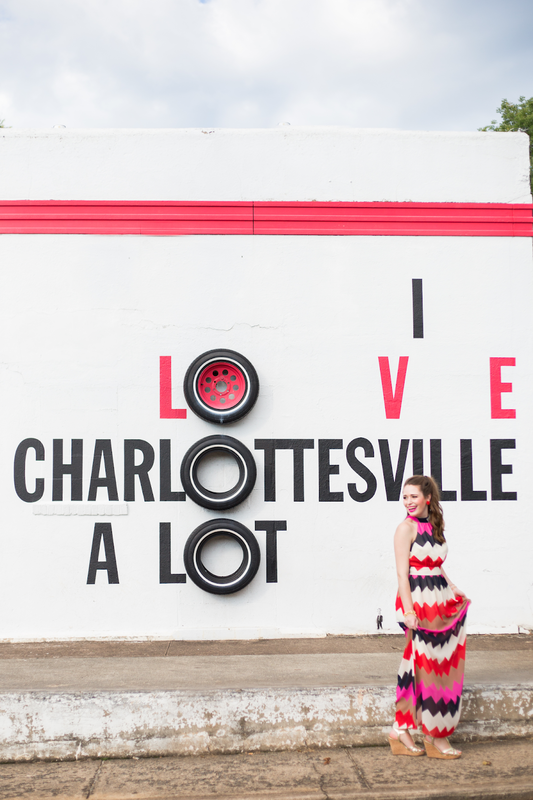 I have never been to Charlottesville but it sounds amazing!